Today King Felipe and Queen Letizia of Spain arrived for their official visit to Luxembourg. The visit will last one day, and the royal couple is accompanied by Spain’s Foreign Minister José Manuel García-Margallo. 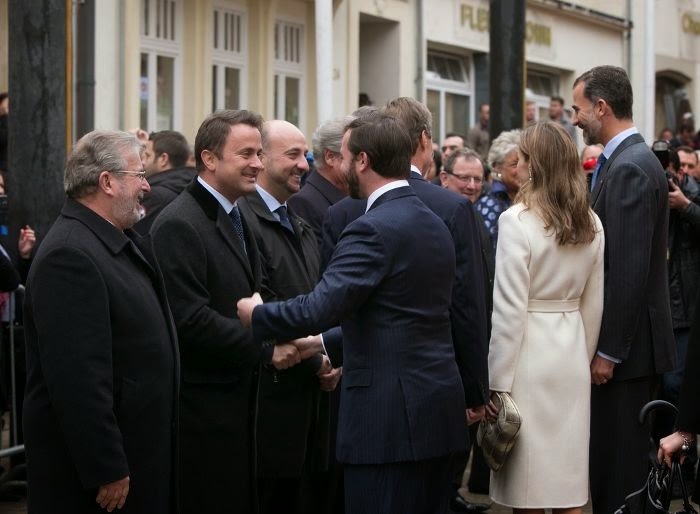 Hereditary Grand Duke Guillaume was at the airport to welcome the royal couple. Then at noon, King Felipe and Queen Letizia were received at the Grand Ducal Palace by Grand Duke Henri, with Hereditary Grand Duke Guillaume in attendance. Also present to receive them were Mars di Bartolomeo, the President of the Chamber of Deputies, Prime Minister Xavier Bettel, and Foreign Minister Jean Asselborn. Afterwards, King Felipe and Queen Letizia joined the Grand Ducal Family, including Grand Duchess Maria-Teresa and Hereditary Grand Duchess Stéphanie, for lunch. The couple met again with the President of the Chamber of Deputies Mars di Bartolomeo, Prime Minister Xavier Bettel, and Foreign Minister Jean Asselborn later in the afternoon. 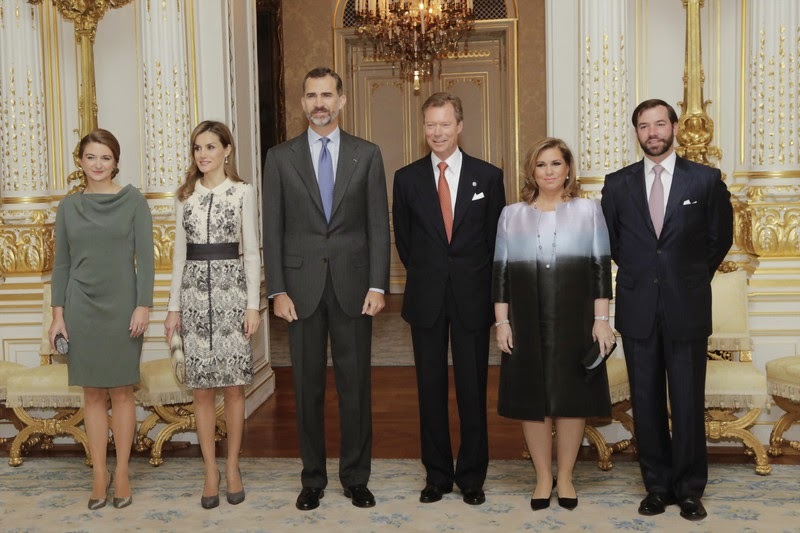 King Felipe assumed the throne on June 14th of this year, and this event marks his and Queen Letizia’s first official visit to Luxembourg in their new roles. 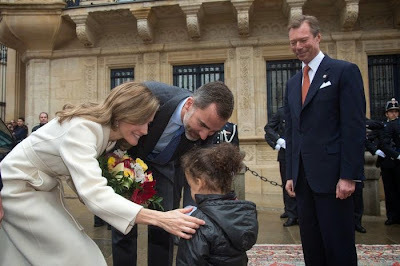 Some more photos of King Felipe and Queen Letizia's visit are available at Wort, Tageblatt and the cour.